Improve your focus. Boost your brain power. Banish those dreaded “senior moments”. Reverse brain fog. In the next 2 minutes, I’m going to let you in on a brand-new discovery that’s sending shockwaves through the medical community. It can even improve your mood… help you get deep, restful sleep… and deliver a natural surge of energy directly to your brain. You’ll feel it going to work in just 1 hour. And enjoying crystal clear thinking just minutes after you wake up. And finally helping you feel like your old self again. What’s the first thing you’ll do with your newfound brilliance? Have you ever wanted to learn guitar? Go ahead… it’ll be a breeze. Want to take a class at the local college? Imagine how fun it will feel to start learning again. Or simply test your “steel trap” mind with some trivia... a sudoku puzzle… or by watching your favorite game show. And it’s not some new drug you can pick up at the doctor’s office. You won’t find it at CVS, or at your local pharmacy either. I’m sure you’ve seen some “miracle memory cures” floating around the internet. And you’re right to be skeptical. At first, I was skeptical too. A “smart pill” that restores your brain like new? And it works in 1 hour? Study after study of medical, scientific evidence – showing this really works. And it’s why I insist on sharing that proof with you today. …and how it can finally help you unlock your true potential. My name, by the way, is Dr. Glenn S. Rothfeld. I’ve been a Medical Doctor for 40 years, I’ve authored 8 best-selling books, and my clinic in Waltham, Massachusetts is one of the most popular medical centers in the country. I see it in my patients all the time. In fact, it’s the top complaint I hear among 60- and 70-year olds in my clinic. It starts with something harmless, like misplacing your wallet or keys. Well, that’s when those “normal” senior moments start feeling embarrassing. He might even tell you it’s a normal part of aging – and there’s nothing you can do about it. So, rather than putting a “band aid” on your symptoms – like most mainstream solutions – we can finally help reverse brain fog… once and for all. After all, your brain can’t really be shrinking… can it? But, according to several recent reports – including one published in Science Magazine – it’s true. In fact, after the age of 60, your brain can reportedly shrink nearly 1% every year. Meaning, by age 70… you could lose 10% of your brain volume. And by 80? That’s over 20%!! It’s no wonder your mind’s slowing down. Think of your brain like a sponge. …brand new and ready to soak up all the information – and life lessons – ahead of it. 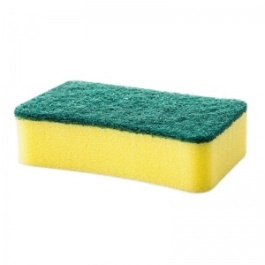 Imagine using this sponge to clean up a mess around the sink. You might soak up a little water, but – mostly – you’re just pushing it around. At best, it’d take you 3-4 times longer than usual to clean everything up. Either way, I think you can see how the old, shrunken sponge is much less effective than the younger one. You see, much like the sponge… once your brain starts shrinking, it has trouble soaking up new information. There simply isn’t any more space to add new memories. Not only that, but your thinking becomes cloudy. You have trouble focusing and processing things that used to be routine. And you start forgetting things, like where you put your keys, the name of that new song you like, or what you ate for breakfast this morning. And practically restoring your brain like new. And restoring every bit of that razor sharp memory from your 20s. And remember: it works in just 1 hour. So you’ll feel sharp as a brass nail – almost instantly. 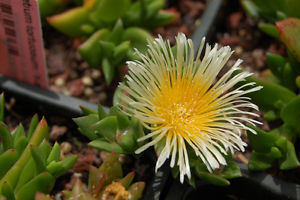 It’s called sceletium tortuosum – or kanna – and it’s only found in a small, remote village in South Africa. The locals have known about its brain-boosting powers for years. In fact, one doctor who visited this village reported its people remain lucid and mentally sharp… well into their 90s. Could this strange plant be the reason why? See, even though kanna is relatively unheard of in the states, it’s well-known in South Africa and Europe. Including one so remarkable, it should be front page news. In 2014, doctors took 20 men and women and gave them 25 mg of kanna a day for 3 weeks. They even reported less stress… better sleep… and experienced a surge of energy throughout the day. They also reported that kanna works all day – it didn’t wear off like a cup of coffee or an energy drink. Nearly doubling your ability to focus, pay attention, and multi-task? Imagine how confident you’ll feel – knowing, no matter what your day holds, you’ll be able to conquer it with sharp, crystal clear thinking. You see – after the first study – researchers knew kanna was a potent memory-booster. And, now, they were determined to find out why it works so well. So, they recruited 60 men and women and gave them each 25 mg of kanna (the same exact dose from the first study). Only, this time, subjects were hooked up to an EEG machine – a sort of brain scan that measures activity in certain parts of the brain. It does this by measuring 3 types of brain waves – which are associated with a quicker, sharper memory. Meaning: their brains were much more active, engaged, and energized than before the study. Almost like you can feel your brain re-growing. And remember: this was just 60 minutes after the first dose of kanna. Your mind will be clear. And you’ll be sharper… more “dialed in” to whatever you’re doing that day. Even learn a 2nd language if you’re up for it. After all, if kanna really works so well – why wouldn’t your doctor tell you about it? You see, kanna is natural… which means it can’t be patented by the Big Pharmaceutical companies. …deliberately withholding information from your doctor – and pushing their expensive and dangerous drugs instead. See, for Big Pharma, memory drugs are big business. Last year alone, they made over $5 billion selling these drugs to desperate patients. And what’s worse? Their “solutions” are less than worthless. So, if the public found out about kanna – and how effective it is – it could put a big dent in their bottom line. Which is why they’ll do anything to keep you from discovering this powerful, memory-enhancing nutrient. And it’s why I made this presentation for you today. In just a minute, I’ll show you how to get the kanna extract I recommend… in the exact same form used in the clinical studies. It’s only the first building block to restoring your memory. In order to truly “rebuild” your brain – and feel good as new – there are 2 more things you need. It’s called Huperzine A – or Chinse Club Moss. If you subscribe to my newsletter – Nutrition & Healing – that might sound familiar. Because I’ve been writing about Chinese club moss for years, including back in 2015. At first, I touted it for its ability to help protect your most cherished memories. You see, Chinese club moss is what’s known as an acetylcholine booster. But it’s actually quite easy to understand. See, acetylcholine is a neurotransmitter – which means it helps increase the strength and speed of the neurons in your brain. Think of these neurons as little delivery men – bringing messages to your arms, legs, and even your heart… telling them what to do. They even carry messages from one part of your brain to another. …as your brain shrinks, those delivery men get slower – and they’re unable to send messages as quickly as they used to. Helping you stay active and full of energy as you age. You’ll have no trouble picking up new skills, remembering the names – and faces – of people you just met, or figuring out how to send a message to your grandkids on Facebook. And Chinese club moss is scientifically shown to help you do just that. See, over the past 32 years, Chinese club moss has been the focus of at least 20 scientific studies. In nearly all of them, it’s been shown to significantly help improve short-term memory, recall, and ability to process new information. Maybe you’ll even write that book you’ve always dreamed of. Going back to a time when your mind was as fine-tuned as a Shelby 427 Cobra. You’re already well on your way to restoring your memory. Then there’s one more thing you need. Of course, I’m talking about ginkgo biloba. You see, ginkgo biloba has been used for thousands of years as a natural remedy for age-related memory loss. It’s well-known as one of nature’s most powerful memory-boosters. But the real test came when scientists designed a randomized, placebo-controlled study to see how well ginkgo biloba really works. These tests measured recall – their ability to remember numbers, images, and words from a randomized list. This gave researchers a “baseline” to compare against ginkgo biloba. And… after 1 hour… measured their results again. Meaning, their answers were more accurate than they did at the beginning of the study. And… 1 hour later… being able to spout off the entire list – in order! Can you picture how impressed your friends and family will be? All because you discovered this brand new “smart pill”… and finally decided to do something about your aging memory. How will it feel when your mind is humming like a finely tuned machine? How confident will you feel, knowing your memory will never fail you again? Wouldn’t you feel more relaxed, and excited for your future? And wouldn’t you enjoy time with your wife… your kids and grandkids… and your closest friends… that much more? I’m also the Chief Medical Advisor for a small company called Real Advantage Nutrients. Along with ginkgo biloba – to “turbocharge” your memory. And – as of a few days ago – we finally reached our goal. …starting in just 60 minutes. What’s more, we packed all that into just one tiny pill – which you can take with a glass of water, OJ, or coffee in the morning. Yet you’ll still enjoy crystal clear thinking all day long. We call this formula NeuroBrin – and it’s Real Advantage Nutrients’ latest breakthrough. And it’s the only formula I’ve seen that addresses the root cause of brain fog. When my team and I first put the finishing touches on NeuroBrin, we decided we were going to charge $150 per bottle. After all, how much are your memories worth to you? If you’re anything like me, you’d pay thousands to ensure your mind stayed sharp as a tack for all your years. But I know $150 is out of reach for a lot of people. And I want to make NeuroBrin available to everyone who needs it. So, I talked with the marketing team and they agreed to bring the price down to $75. That’s like 50% off the regular price… and the lowest we can possibly go without losing money. But still… I thought we could do better. I convinced them to lower the price by ANOTHER $25. Most people would call me nuts for offering a deal like this. There’s just one catch: because this formula is brand new, we have a very limited supply available. If you leave this page and come back later, I can’t promise that NeuroBrin will still be available. So make sure to claim your bottles before they run out. Click the Add to Cart button to claim your bottles. When you click it, you’ll go straight to our secure, 256-bit encrypted RSVP form. Then, simply tell me where you send your supply of NeuroBrin, enter your payment info, and I’ll handle the rest. In just a few days, your first bottle will arrive in a small, brown box. As soon as your package arrives, open it up and take out your bottle NeuroBrin. Shake one of the pills into your hand. Notice how small and easy-to swallow it is… and picture your mind getting quicker – and sharper – every time you take one. Now imagine… taking one of these “smart pills” first thing tomorrow morning. And, as you go about your day – whether you’re running to the store, doing some yardwork, or taking your grandkids to the park – you feel completely relaxed and focused. And you never hit that afternoon wall, where you feel like you need to take a nap. Friend, that’s exactly what you’ll get each and every time you take NeuroBrin. And remember: you only need 1 tiny pill to enjoy crystal clear thinking all day long. And if it doesn’t work exactly as I’ve promised you today? Well… then I’ve got you covered with my “Sharper in 60” Guarantee. As soon as you’re ready to put NeuroBrin to the test, set your kitchen timer to 60 minutes and swallow your first pill. Then sit down and relax. Feel the calming buzz that starts to happen in your brain. It’s all part of my “Sharper in 60” Guarantee. And feel free to finish the entire bottle – or take as long as you want to put NeuroBrin to the test. There’s absolutely no risk when you say “yes” and give NeuroBrin a try today. Just click the Add to Cart button to claim your bottle of NeuroBrin. When you claim your first bottle of NeuroBrin today, be sure to choose our FREE Auto-delivery program. As soon as your first supply of NeuroBrin runs out – I’ll charge the same card you use today and rush another bottle right to your doorstep. So you never have to suffer through another day of brain fog and faded memories. You’ll also lock in free shipping for life. And enjoy sharp, crystal clear thinking for the rest of your days. All you have to do is click the Add to Cart button now and tell me where to send your bottle of NeuroBrin.